Action Lab Entertainment’s popular coming of age action series, SHINOBI: NINJA PRINCESS is well into its run with issue 4 coming soon. Now, Series creator Martheus Wade is introducing new fans to the world of Shianndrea “Jetta” Toshigawa with a new tie in Webcomic. 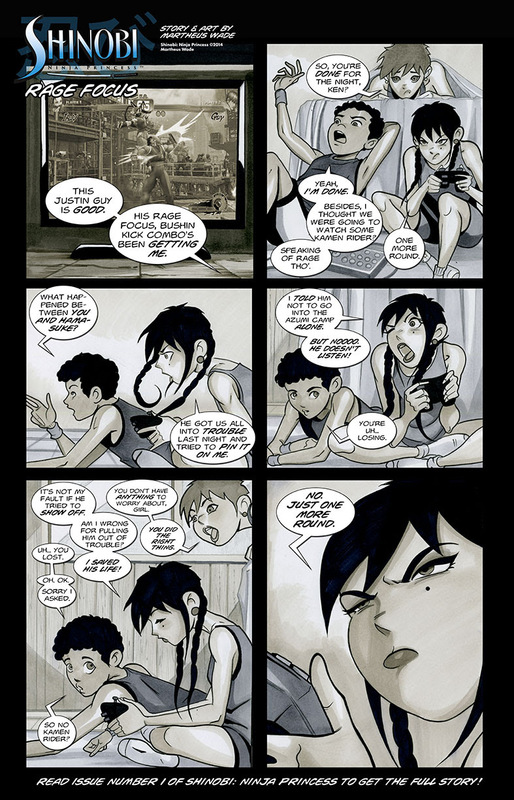 These 1-4 page webstories weave into and out of the existing 6 issue mini series published by Action Lab Entertainment. Each story will give readers more information on the characters and world of this martial arts adventure as well as serve as a gateway for new readers.